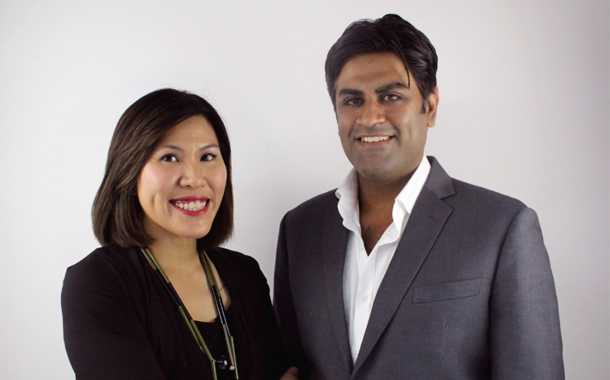 Reuter Communications, the luxury intelligence, digital, communications and marketing agency has named Charmaine Lin and Shashin Surtias General Managers as part of the ongoing expansion. They will work alongside Founder and CEO, Chloe Reuter, and Managing Partner, Nick Cakebread, to oversee the agency’s key client relationships, drive business growth and expand service capabilities across its Shanghai, Hong Kong, Singapore and Dubai offices. Charmaine joins as General Manager, Client Services, and is tasked with leading client services and overseeing the agency’s integrated teams of research, digital, creative and communications professionals. Shashin joins as General Manager and will have specific oversight of accelerating growth of the agency’s digital, creative and strategic capabilities. He will also spearhead the agency’s reputation management and corporate advisory solutions. In the newly created roles, Charmaine and Shashin will also lead in strengthening and diversifying the agency’s talent pool across its Shanghai, Hong Kong, Dubai and Singapore offices. Charmaine is an award-winning communications leader with more than 12 years of experience in integrated consumer marketing communications in Shanghai and Singapore. She was most recently Vice President, Client Experience in Weber Shandwick Shanghai’s Consumer Practice, where she provided strategic counsel to new-to-market clients such as Victoria’s Secret, as well as Tourism Australia, Nespresso, and many of Marriott International’s premium and luxury hotel brands. Over the years, she has also worked closely with key lifestyle, fashion and beauty clients such as DFS Galleria Singapore, Singapore Fashion Week, Pedder Group, Shiseido Group, and Estee Lauder Companies. Shashin brings more than 11 years’ experience in Shanghai, Tokyo and Singapore counseling CEOs and senior clients on developing integrated marketing strategies. He returns to Shanghai after two years in Tokyo as Vice President, Planning leading wins like Netflix, Las Vegas Sands, Mastercard and American Airlines. In his previous six-year stint in Shanghai, he led Weber Shandwick Shanghai’s corporate & public affairs practice focusing on advising multinational companies on corporate affairs, market-entry, policy intelligence and issues management. He also has extensive experience helping Chinese brands market themselves globally. Charmaine and Shashin join Reuter Communications at a time of expansive growth for the agency, which has recently added new client solutions to their existing offering – including Reuter: Intelligence, the agency’s insights division which delivers quantitative and qualitative research and big data analytics via a proprietary database and an established partner network. In addition, the agency opened two new regional offices this year – Singapore and Dubai – to complement their existing Shanghai headquarters and Hong Kong office.